According to IHS Automotive, the Honda Accord has the highest level of model loyalty for the 2014 model year for the segment of non-luxury, mid-size traditional vehicles. 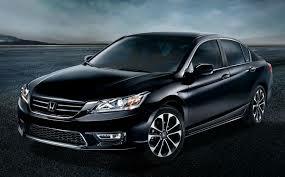 For the Accord, this marks the second year in a row that this title has been achieved. This also marks two years that the Accord, the most popular vehicle in America, has received the IHS Automotive loyalty award for excellent performance in regard to owner retention. According to a Honda spokesman, the level of customer loyalty that a car maker achieves is considered a primary measurement in regard to product excellence, as well as customer satisfaction. The recognition from IHS Automotive, in this extremely competitive segment, is additional proof that the Accord has continued to meet all the expectations of the American car consumer. The owner loyalty of vehicles is tracked throughout the entire year and by IHS Automotive, which also works with customers on a regular basis in order to manage the level of owner loyalty. These loyalty awards are given to recognize the manufacturers who offer superior loyalty performance, which is actually determined when the household that currently owns a vehicle is returning to the market in order to lease or purchase another vehicle of the same make and model. The fact is, Honda is a brand known for customer satisfaction and this award has further solidified its place in the market as being one of the most popular brands in America, preferred by consumers. If you are ready to see what Honda has to offer for yourself, then visit Honda of Pasadena today. Here you can browse a huge selection of vehicles, including the Accord that, has earned the reputation of being the most popular car in America. This entry was posted in 2015 Honda Accord, 2015 Honda Models and tagged 2015 Honda Accord, accord, Honda accord, honda loyalty, ihs automotive by Honda Pasadena. Bookmark the permalink.